Peipsi Center for Transboundary Cooperation, in cooperation with Tartu University Department of Folklore have prepared a program for the students aiming to give deeper knowledge on tendencies of migration and asylum-seeking in Europe. Discussions focus also on Estonia, currently opening its border both for migrants in general and for refugees in particular. 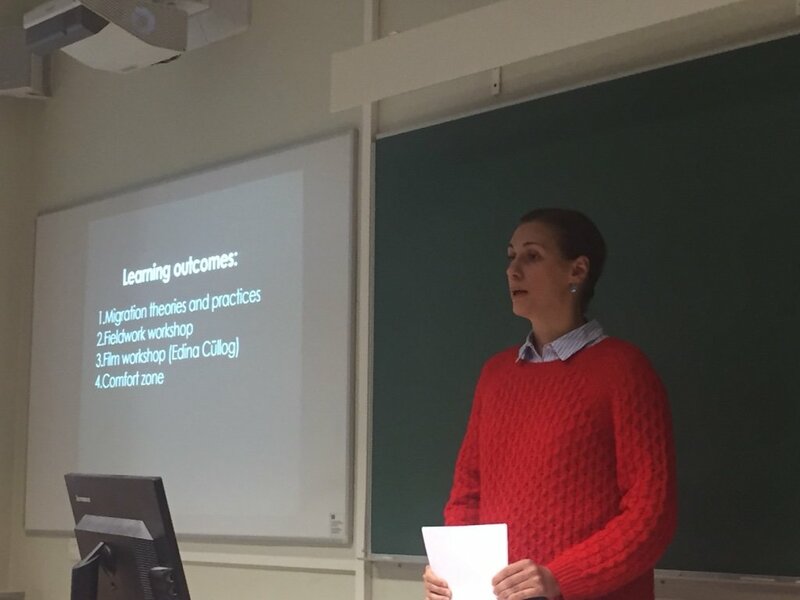 The seminars is lead by Anastasiya Astapova, who has done extensive fieldwork among asylum-seekers, refugees, and Russian-speaking diasporas in several countries, including Estonia. In the program, she will share her observations (often very different from mainstream Estonian mass media) on Estonian asylum-seekers’ camps, refugee composition and integration. The seminar is financed by Europe for Citizens project SISUMMA (Social Initiative of Support to Minorities through Media-Activism -www.sisumma.com. The project aims to foster tolerance, respect and multicultural dialogue among young Europeans through training activities and debates on the values of a dynamic European citizenship.